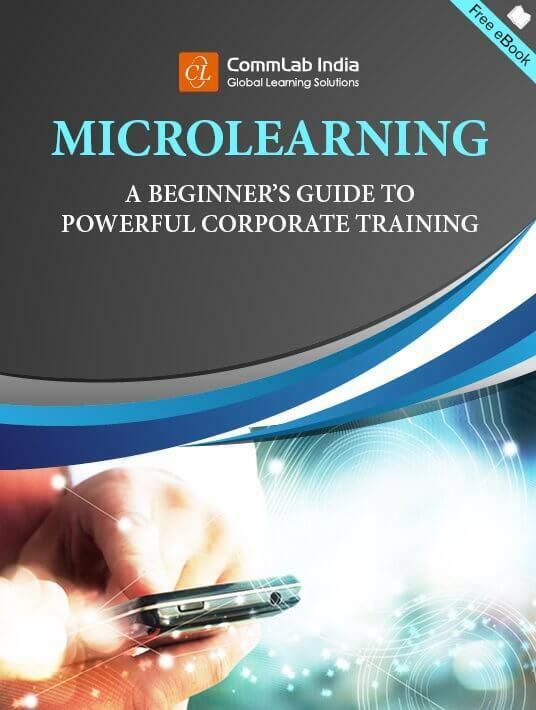 Online training for corporates has taken a new form with microlearning. With dwindling attention spans and job roles that require employees to be on-the-move, providing just-in-time learning has become a necessity. As training managers and Learning and Development personnel, we are all aware that learners have different learning styles. The 3 main types of learning styles are visual, auditory, and kinesthetic. Visual learners remember what they see or read, rather than what they hear. Auditory learners use their listening skills to comprehend information. Kinesthetic learners prefer learning by doing. The perfect microlearning recipe that appeals to different learner types would be to mix and match assets of microlearning and learning styles. Read on to know how you can use different microlearning assets in a resourceful manner and get learners hooked on to microlearning. The microlearning assets that come to my mind when I think of visuals in corporate training, are videos and animations. If you were given a choice between reading four pages of a document and going through an instructional video, which one would you choose? Undoubtedly, it would be the latter. Microlearning requires information to be communicated in a short period of time. Videos are perfect to transfer information, and therefore promote information retention. Corporate learners benefit from whiteboard animations that can be used to introduce a concept, or a process, in a short time. Do not underestimate the power of this microlearning asset when it comes to presenting information in a short and crisp manner. Now add concise audio to your videos and whiteboard animations. You have successfully mixed and matched microlearning assets to appeal not only to visual learners, but also auditory learners. Interactive PDFs contain videos, hyperlinks, and buttons that require the learner to interact with the training content. Include this microlearning asset in your training kit to act as a quick reference. Interactive PDFs appeal to both visual as well as kinesthetic learners. While podcasts can be used to deliver microlearning exclusively to auditory learners, here are two microlearning assets that appeal to all learner types. Mobile apps provide learners the flexibility of going through microlearning modules, even without an Internet connection. You do need an Internet connection to download the course, and to update course tracking on the Learning Management System, after you complete the training. However, you do not need to be online in order to take the course. Mobile apps are microlearning assets that move your learning from the online to the offline mode, and can be used to promote microlearning for different kinds of training. Microlearning refers to delivering small chunks of content. But there are times when learners might be interested in additional information on a topic. Provide eBooks, ePubs, videos, and podcasts as reference tools for learners who are interested to know more. Microlearning enables employees to go through training modules while traveling. It’s a perfect time for the corporate learner to indulge in some self-study with reference tools. Hands-on activities and interactivities in microlearning appeal to kinesthetic learners. Gamification transforms microlearning and adds to the fun of learning. Kinesthetic learners love the interactivity offered by gamification. Introduce microlearning to new employees by using gamification in new-hire training. Kinesthetic learners do not prefer reading or listening to a lot of instructions. Try a quiz as a microlearning asset in pre-training, and you score points from kinesthetic learners. Quizzes are perfect for measuring post-training effectiveness. How-to demos or simulations are microlearning assets that can be used for kinesthetic as well as visual learners. Give learners a hands-on experience with a how-to demo in microlearning. For sticky learning, repetition is absolutely necessary and this is possible through microlearning. 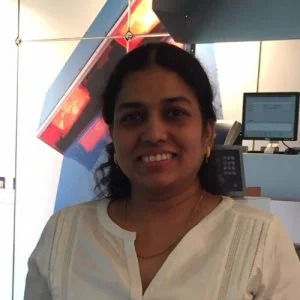 Delivering bite-sized modules through a mix and match of various microlearning assets can enhance the learning experience for all learners, irrespective of learning styles. For more information on microlearning assets, and their application, do not forget to check out this eBook on microlearning.